"I think they’re invented, invented types, and that she is among them because that’s her way of infiltrating story and affecting story, too. So she also wants to have her own actions affect those friendships and document their response." If this theory is true, it means that everything happening onscreen is a part of Carrie’s fictional narrative. This theory actually makes SO much sense, although it’s hard to imagine Carrie’s real life as anything other than drinking cosmos with the girls and running through the streets of Manhattan in her Manolo Blahniks. Regardless, we love the enthusiasm Parker has for the franchise so many years later. 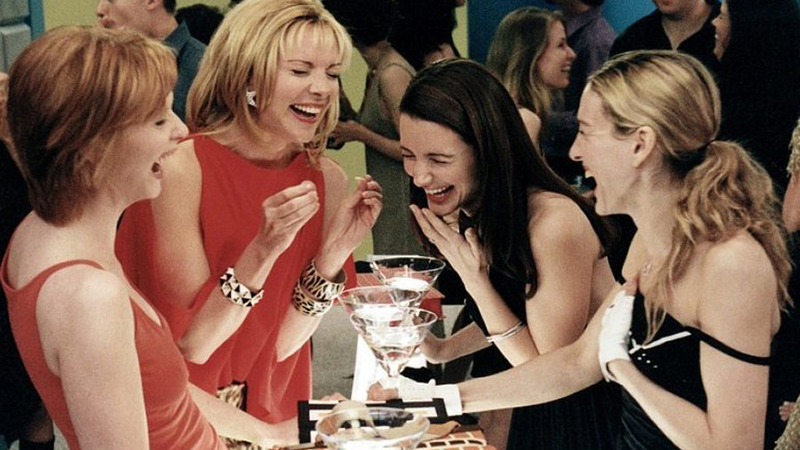 We can’t wait to check SJP out in her new series (though she’ll always be Carrie to us)!